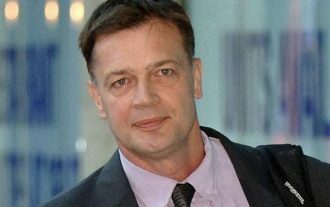 THE DOCTOR BEHIND AUTISM MMR VACCINE CONTROVERSY SPEAKS OUT | "Global Possibilities"
An academic gastroenterologist, Andrew Wakefield MB.BS., completed his medical degree in 1981 from St. Mary’s Hospital, London. He is a trained gastrointestinal surgeon, who specializes in inflammatory bowel disease. In 1985, he became a Fellow of the Royal College of Surgeons and, the following year, was awarded a Welcome Trust travel fellowship to study small intestine transplants in Toronto, Canada. He has published over 140 peer-reviewed scientific publications and has spoken widely around the world about autism. But it wasn’t until Dr. Wakefield published his 1998 Lancet study that he caught the attention of the public — and created a tempest of controversy. “We have identified a chronic enterocolitis in children that may be related to neuropsychiatric dysfunction. In most cases, onset of symptoms was after measles, mumps, and rubella immunisation. Further investigations are needed to examine this syndrome and its possible relation to this vaccine,” the study concluded. “Everything in that paper is entirely accurate and has turned out to be supported by the evidence. People say, “Well, no one’s ever been able to replicate the findings of the study.” The findings of the study were of a novel inflammatory bowel disease in children with autism, and that finding has been replicated around the world,” Dr. Wakefield told Wake Up World. “And, in fact, gastrointestinal disturbances in children with autism are the most common scientific findings, the most consistent scientific findings in the world literature of autism right now — particularly disturbances in gut lining, the bleakness of the gut, the enzymes of the gut, gastrointestinal symptoms in these children, and the microflora or the bacteria of the gut in particular, so this is becoming major focus for current research. Richard Horton, editor of The Lancet, asked the research team “to issue a retraction of an interpretation, not a retraction of the findings in the paper which stand, but a retraction of an interpretation, and that interpretation is the MMR vaccine causes autism,” says Dr. Wakefield. “How can you possibly retract an interpretation that was never made? In fact specifically the paper said — as I’ve said before — “The study does not prove an association between MMR vaccine and the syndrome described.” He [Horton] was very sober, but he thought, because of the politics, he wanted us to sign a letter, that said we retract the interpretation that MRR vaccine causes autism. You can’t retract a possibility. A possibility exists, but we didn’t claim any course of association, so I refused. And two of my colleagues refused as well. My other colleagues were very frightened. They didn’t want to be drawn into the spatter, and they decided that, for political reasons, it would be best just for them to comply and issue a retraction of an interpretation. So I, still to this day, don’t understand why they did that in intellectual terms … that’s not the way that we should conduct ourselves in medicine and science,” he says. It should be noted that when the issue came before the English High Court in the appeal of Dr. John Walker-Smith — a senior coauthor of the study — the judge found that, “Absolutely, these children were sequentially referred,” which overruled the claim of The Lancet. “The second reason that the paper was withdrawn by The Lancet was the statement in there that the investigations had been approved an ethics committee. In America, that’s called an investigational review board or an institutional review board, and that is necessary for the conduct of scientific research, medical research in these circumstances, on the children. Now, there was gross misrepresentation of the fact, but the one aspect of this did constitute research, because the great majority was clinical investigation — which didn’t need any kind of ethical approval — was the reanalysis of the biopsies by experts. “And that was indeed covered by an ethical approval obtained by John Walker-Smith in 1994, fully a year before the first child ever came to the Royal Free,” explained Dr. Wakefield. “And that information was in the hands of Brian Deer [a freelance journalist], the person who made the allegation. At the time he filed his allegations and throughout the period of the GMC hearing, he had in his possession the documents confirming that there was ethical approval, and yet he claimed that there was no such approval. In other words, he was guilty of an obstruction of justice. The controversy eventually lead to Dr. Wakefield’s medical license being revoked. Both Drs. Wakefield and John Walker-Smith filed an appeal. Dr. Walker-Smith’s professional insurance coverage paid for his appeal; Dr. Wakefield’s insurance carrier would not. He was told it would cost up to half a million pounds to pursue. “I was pretty much bankrupt by that state, so I couldn’t take the risk,” he says. In hindsight, Dr. Wakefield wishes he had, because the judge ruled on the John Walker-Smith case within a week, so his appeal would have cost far less than what had been projected.